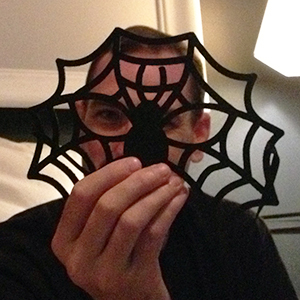 I think we just found the easiest Halloween decor, ever: felt garlands, masks, and runners. Not only can they be used in dozens of ways, but they pack away neatly and don't take up much space. This is great when you want to be ready to jump right into Thanksgiving by November 1. It's all about quick and easy seasonal decor! 1) Wear the felt masks as costumes for you and the kids - probably the most obvious use, but still cute! 4) Drape felt runners across chairs, ottomans, and sofas. They're soft and won't mind if your guests take a seat. 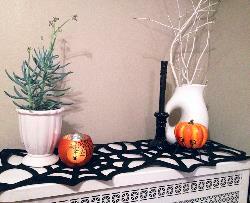 7) Hang felt garlands from fireplace mantles, curtains rods, and wherever you need a quick Halloween update! 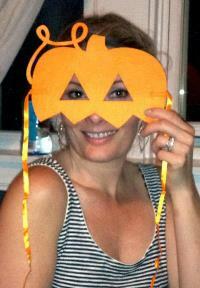 Check out our friends' creative ways of using Halloween felt decor from tag2u.com. Do you have a favorite trick?